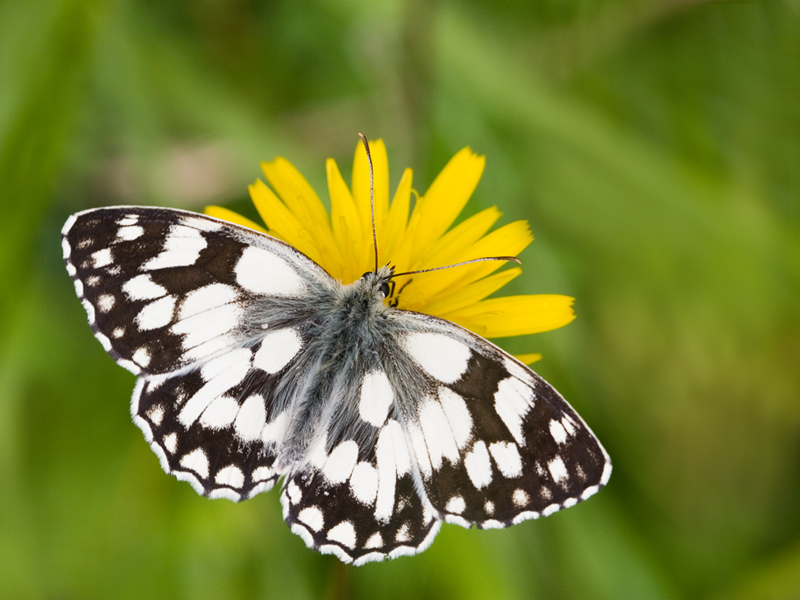 The black and white chequered wing pattern makes this butterfly very distinctive, quite different from all other Browns and with far more black than on any White butterfly. Characteristic black eyespots near the outer edges of the underwings show the family affinity to the Browns. Normally flies slowly low above the ground, though occasionally can fly high and fast when going longer distances. The flight period is from mid-June to mid-August. Red Fescue (Festuca rubra) is the main food plant. All over the county but especially the downs, Salisbury Plain and other open grassland areas.